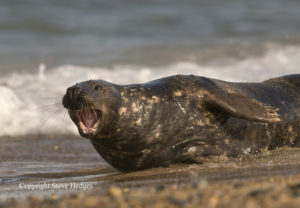 This seal photography workshop in Norfolk concentrates on the techniques and camera controls required to successfully photograph wild animals, in particular grey seals. During the photography workshop we will cover focus modes, exposure modes, white balance, depth of field, how to avoid camera-shake, equipment for wildlife photography, use of light and of course composition. One of the biggest problems people face when photographing wildlife and using long focal lengths is achieving sharp pictures. We will look at this subject in great detail. Field craft , how to get close to wildlife is also a very important subject which is specific to wildlife photography, we will also cover this in detail. 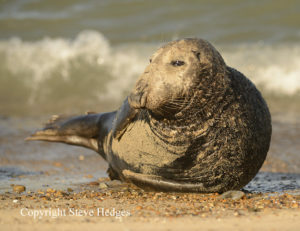 This seal photography workshop takes place on the Norfolk coast which is a real hot spot for grey seals. 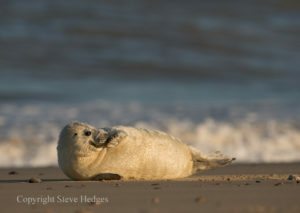 It is also timed for when grey seal pups are born. 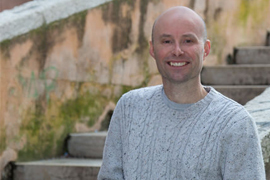 This is also a great time of year for photography because although the days are short the sun is low in the sky all day so the quality of light is fantastic all day. 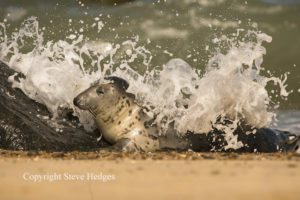 The seal photography workshop is carried out under natural circumstances and with limited participants to ensure seals are undisturbed during the photography workshop. 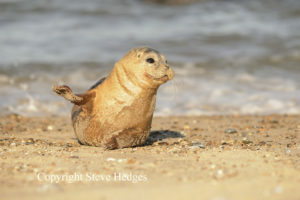 In order to avoid any disruption whatsoever to the pups and their mothers, the seal photography workshop is limited to just two participants. 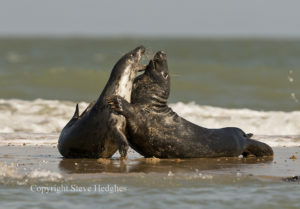 You will need a focal length lens of 300mm as a minimum for this seal photography course. A tripod is handy but not essential; plus, of course warm clothes. 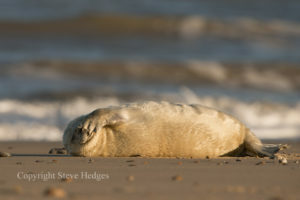 There’s a walk of about 45 minutes along the beach to get to where the seals are so a reasonable level of fitness is required to attend this course. 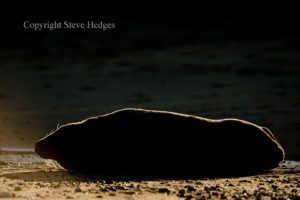 The Norfolk coast is wild and rugged which makes a fantastic backdrop when photographing grey seals. 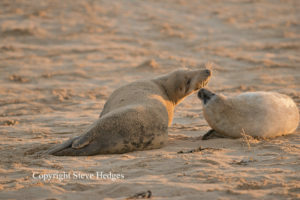 We will look to capture a wide variety of pictures from intimate moments between mother and pup to action shots of seals fighting, along with heaps of portraits of these amazing creatures. If you have any questions regarding this course please feel free to contact us.